If you’re trying to plan an unforgettable vacation, Maui is the perfect destination. Stunningly unique beaches, intriguing rainforests, majestic mountains, and picturesque green hillsides with views down to the ocean, beautiful waterfalls, and a dormant volcano with a massive cinder crater are just some of the breathtaking sights you can see in Maui. Come during the winter, and you could also see whales! What more could you ask for? Well, those who want the full Maui experience may opt to see many of these wonders on an exhilarating bike tour. While several companies offer van tours of Upcountry Maui, a downhill bike tour of the area offers a truly unique perspective that should not be missed. Why do we say that? Be a part of the scenery. On a van tour, the beauty of Maui is seen mostly from a window, albeit possibly a large window, but still a window. You miss some of the experience like feeling the cool and refreshing mountain air, smelling the eucalyptus and jarcaranda trees, or hearing the rare birds of the region. Taking a downhill bike tour of Maui lets you be a part of the scenery and really take in the landscape from a new perspective. A bike tour of Haleakalā and Upcountry is a uniquely peaceful, inspiring, and at the same time, exhilarating way to discover this part of Maui. Stop where you like. Van tours of Maui and even guided bike tours have scheduled stops along the route. Of course, these will take you to the major tourist spots that everyone gathers at, and they may even have a favorite restaurant they have booked for the group to eat at during a specific time. There are those who enjoy these more structured tours. But for those who like to explore on their own, a self-paced bike tour affords a more refreshing, personalized experience. On these bike tours, you can stop and go as you please on the route, on your timetable and at your pace. If you see an unusual photo op spot or want to just rest for a while and take in the amazing scenery, then you’re free to stop. You can check out any number of tiny shops, art galleries, and restaurants in the quaint towns along the way. It’s your day. You’re in control and have the peace and quiet to explore at your own pace. Will you know where the scenic points on the route are though? Yes. On the Maui Sunriders’ downhill bike tour, you’re given a narrated tour of the route by an experienced tour guide as you’re driven up Haleakalā. This narrated tour will provide detailed information about the scenic points of interest on the route, great photo ops, history of the area, Hawaiian culture, and dining options. This is the same route you’ll bike down, so you’ll know exactly where to stop to see the major tourist sights and great places to stop and eat along the route. Pretend you’re a local. Some visitors to Maui never leave their resort areas nestled along the beach, but in doing so, they miss a very different side of Maui, one equally beautiful and intriguing – Upcountry. This more rural area of Maui is where many of the locals call home. On our self-paced downhill bike tours of Haleakalā you’ll get to explore the many small towns and their charming shops, all at your own pace. One of these quaint towns is Makawao in the heart of what is called Paniolo Country. This rustic little town carries on the traditions of the paniolo or Hawaiian cowboy and here you can get a taste of small town country life by stopping in the many boutiques, restaurants, and art galleries in this historic town. Bike all the way down to sea level. While some guided downhill bike tours take a detour before reaching sea level and take you back to your hotel, our self-paced bike tours allow you to ride from the mountain all the way down to sea level, back to our shop in Paia. This gives you a chance to see more of Maui and explore this laid back small town. This historic town has numerous colorful shops, art galleries, and a variety of restaurants. Paia, the heart of the North Shore, is also home to some of Maui’s most beautiful beaches, including the Ho’okipa Beach, known as the “windsurfing capital of the world.” With our self-paced bike tours, you can unwind at the beach at the end of the day or continue sightseeing through Paia. 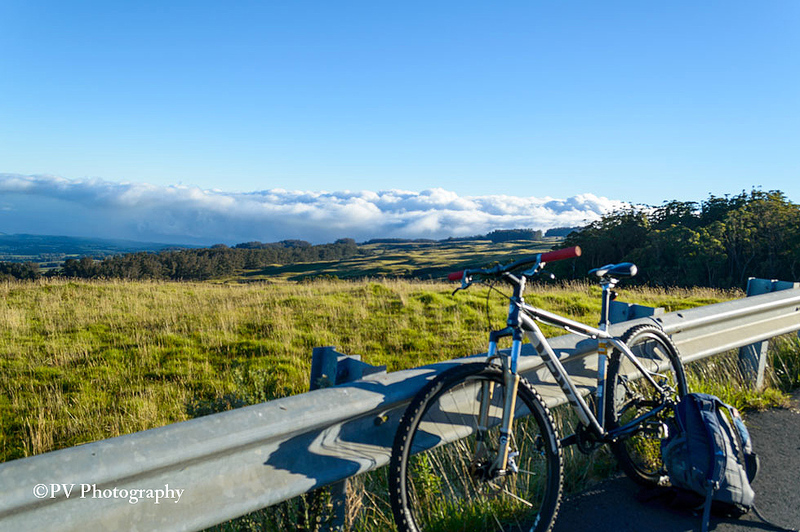 A self-paced downhill bike tour through Upcountry Maui is an experience you’ll talk about for years to come, and our self-paced bike tour provides the freedom and flexibility to make your tour relaxing, enjoyable, and truly unforgettable.